With the passage of The Tax Relief, Unemployment Insurance Reauthorization, and Job Creation Act of 2010” (“TRA 2010”) and its “portability” provisions, many pundits speculate on the demise of A/B Trust planning. The A/B Trust has long been a staple of trust planning. At the death of the first spouse, an amount equal to the deceased spouse’s unused applicable exclusion amount (the amount that can be passed estate tax free) is allocated to the B Trust. The balance of the trust estate is allocated to the A Trust. This planning was originally created to assure that the applicable exclusion amount is utilized to the maximum extent possible. However, with the passage of TRA 2010, the deceased spouse’s unused exclusion amount is made available to the surviving spouse under TRA 2010’s portability provisions. This can be quite attractive for the surviving spouse, as it eliminates the need for retitling the assets at first death, allows for the possibility of step-up in tax basis of the entire estate for income tax purposes upon the death of the surviving spouse, and it eliminates the need to file an additional income tax return for the B Trust on an annual basis. Unfortunately, unless portability is extended beyond 2013 when TRA is set to expire, the window of opportunity to take advantage of these benefits may be short-lived. The American Academy of Estate Planning Attorneys, a nationwide organization of leading estate planning attorneys, of which this firm is a member, has developed a new estate planning strategy it calls the “FlexTrust.” If a couple elects to include a Flex Trust as part of their estate plan, the Trust Advisor to the trust will be able to examine all of the facts and circumstances at the time of the death of the first spouse – the existence or non-existence of portability, the estate tax law at the time of the death of the first spouse, the size of the couple’s estate, the health of the surviving spouse, the needs of the children and grandchildren and the goals of the couple in determining whether to fund the A Trust and the B Trust, in whole or in part, or to make these funds available to the surviving spouse. This creates the opportunity for maximum flexibility and cost efficiency, depending upon the circumstances that exist at the time of the death of the first spouse. There are many circumstances when a FlexTrust is not an appropriate planning tool. One circumstance would be where each spouse has their own children and the first spouse to die wants to assure that his or her assets end up with his or her descendants. Another circumstance would be where the couple is concerned about the possibility of remarriage of the surviving spouse and the deceased wants to be assured that his or her assets are not used for the benefit of this new person in the surviving spouse’s life. Finally, there might be concerns about the exposure of the surviving spouse to judgment debtors, creditors, or taxing authorities, such as the IRS. This can be of concern when one or both of the spouses are engaged in high-risk occupations where he or she may be at risk to a malpractice lawsuit. As you can see, TRA 2010 has created new planning options, such as the American Academy of Estate Planning Attorney’s FlexTrust. Even though these new planning strategies are available and appropriate for many, if not most, clients, there are client circumstances that may cause the traditional A/B Trust to be a more appropriate planning strategy. If your client does not have an existing trust, he or she should seek the counsel of an estate planning attorney who is up-to-date with all of the planning opportunities afforded by the passage of TRA 2010. If your client has an existing estate plan in place, it would be wise for the client to have the plan reviewed to determine whether implementation of the FlexTrust planning strategy will lead to increased flexibility, ease of administration, and cost savings. Our office is available to assist your client in determining what planning strategy is best for them. Our law firm focuses its practice on estate planning and administration. 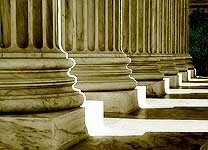 As a member of the exclusive nationwide group of estate planning attorneys, the American Academy of Estate Planning Attorneys, we keep current on all the new laws and other developments, as well as planning opportunities that emerge as a result of the passage of the new laws. You can schedule a free consultation with one of our attorneys for yourself or one of your clients by calling our office.